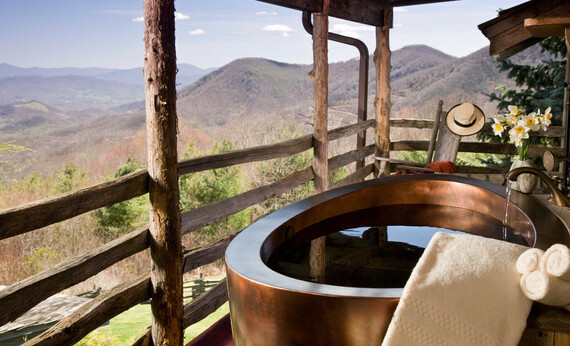 Your B&B bucket list has arrived. The following U.S. inns are spectacular bases from which to explore national parks, big cities, sleepy beach towns and mountain forests. The inns offer outstanding accommodations in choice locations -- but the properties are undoubtedly amazing destinations in themselves. These B&Bs are so special, in fact, that you could stay on site for the entirety of your trip and still experience a wildly enjoyable vacation. Located at an elevation of 5,000 feet, this remote Smoky Mountains B&B is all-around captivating -- from the awe-inspiring views to the luxurious accommodations to the world-class service. The Swag's 14 rooms, cabins and suites are individually decorated with original artwork, rustic antiques and handmade quilts; and stocked with snacks you can take on the trail, such as trail mix and bottled drinks. 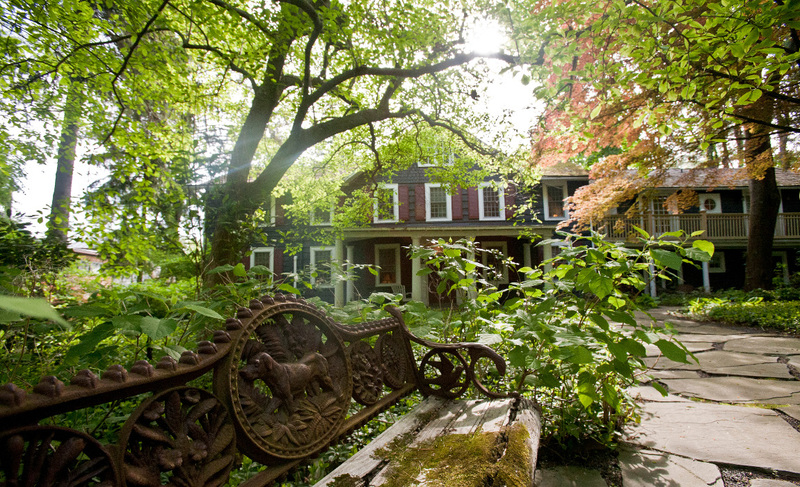 Most accommodations feature wood-burning fireplaces, steam showers and private balconies. Several offer Jacuzzis or outdoor soaking tubs or showers. 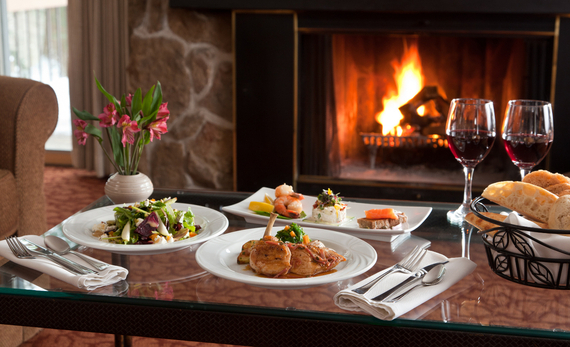 All meals are included with your stay and prepared by a chef using ingredients grown on site. Indulge in a full breakfast buffet with made-to-order omelets, a gourmet to-go lunch packed in a brown bag or backpack, and dinner featuring the inn's garden-grown produce and local fare such as mountain trout or farm-sourced duck. The Mill House Inn charms from the moment you glimpse its red brick facade and white French windows. 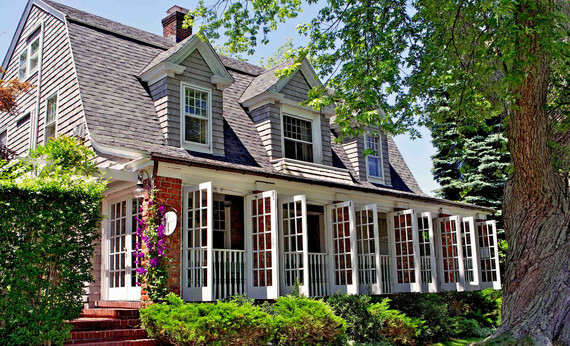 It offers 10 suites and rooms (some kid- and dog-friendly) plus the Graybarn Cottage -- a four-bedroom Hamptons estate with a private pool and a fully stocked chef's kitchen. Cottage rates include car services and use of a personal assistant. The inn's breakfast menu is what dreams are made of and the complimentary 24-hour snack bar is almost too good to be true. Where else can you indulge in a succulent lobster frittata alfresco or enjoy home-baked cookies and gourmet popcorn at 2 a.m.? 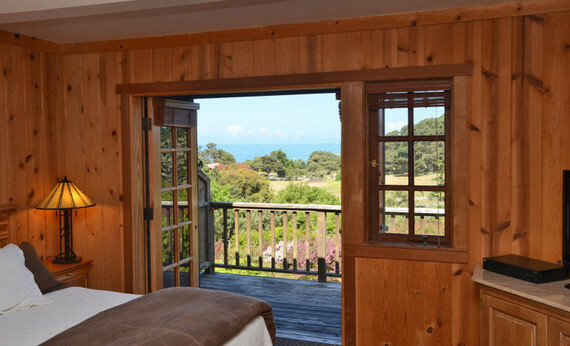 Slumber to the sound of crashing waves at this 25-guestroom oceanfront resort. 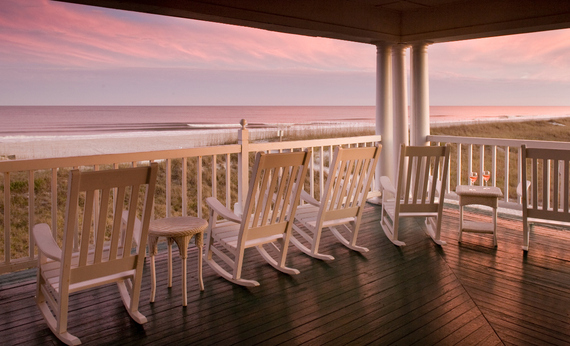 Elizabeth Pointe Lodge is steps from Fernandina Beach, part of a pristine 13-mile stretch of soft, sandy coastline. A stay comes with a hot Southern breakfast buffet served seaside, a wine and hors d'oeuvres reception each evening, plus coffee, lemonade and freshly baked cookies offered all day. Want more? Room service available around the clock will take care of your needs. Our advice? Book an Ocean View Room with an oversized soaking tub surrounded by astounding Atlantic views. The Buttermilk Inn invites guests to experience sprawling orchards dotted with willow trees, an organic farm, a restaurant that serves ingredients sourced on site, and an eco-friendly spa with a beautiful glass-enclosed indoor pool. Choose from 10 guestrooms in the circa-1764 Main House (each with river or garden views) or four guesthouses and a converted barn, all offering breathtaking panoramas and private outdoor spaces. All accommodations have ahhh-mazing bedrooms and bathrooms -- river views from jetted tubs, wood-burning fireplaces and soaring cathedral ceilings are just the beginning. Your stay includes a generous breakfast made with eggs, fresh produce, and honey from Buttermilk's own Millstone Farm. The buttermilk pancakes topped with Millstone peaches is a favorite. The Garden Gables Inn's well-preserved namesake gabled front, which dates back to 1780, is just the tip of the inn's historical pedigree. But modern amenities abound in two beautifully furnished suites, four sky-lit Orchard Cottage Rooms, and nine Main House Rooms: Aveda toiletries, Anichini spa robes, iPod docking stations and heated floors. Main House Room 15 is popular for its king-size, four-poster canopy bed with cathedral ceiling, private deck and en suite bath with jetted tub. Post check-in, check out the cozy Sherry Room for a complimentary aperitif or varietal tasting. (While you're at it, ask about the private chef's table dinners.) After a morning dip in the heated pool, enjoy a complimentary chef-made, cooked-to-order breakfast (and buffet of fruit salad, freshly baked bread, granola and yogurt) in the dining room or on the enclosed porch. The inn uses only locally sourced ingredients, so guests can enjoy the delicious bounty of the Berkshires. Cottage in the Woods? Cabin by the Lake? Sunset Casita? The tough choice is yours at Blue Lake Ranch, which offers these options among 16 spacious, private accommodations. All guest lodging is adorned with tasteful Southwestern-style decor and provides creature comforts like pillow-top king beds, large Jacuzzi tubs, gas fireplaces, and private decks. 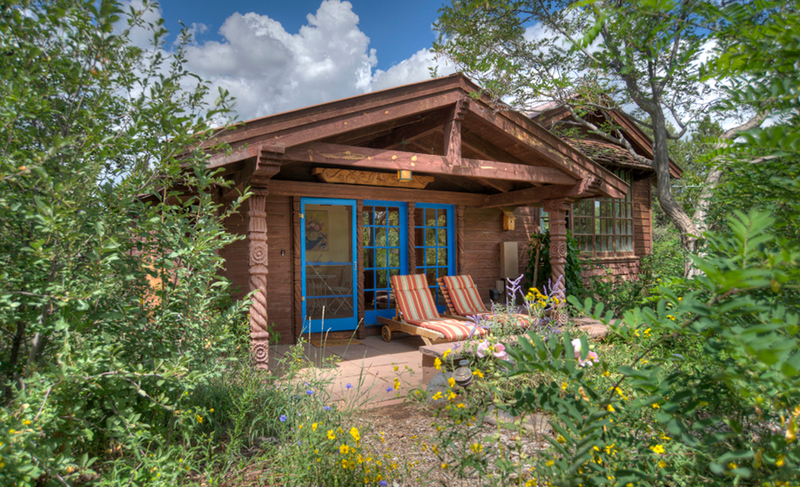 Most boast views of lush gardens or the La Plata Mountains. The private mountain-spring fed Blue Lake embellishes 200 secluded acres surrounding the namesake original ranch house, an early-1900s Victorian. Breakfast, included with your stay, can be enjoyed in the Main Ranch House or in the gardens with a lovely lakeside view. The fare is scrumptious and scratch-made, right down to the signature apple strudel French toast. 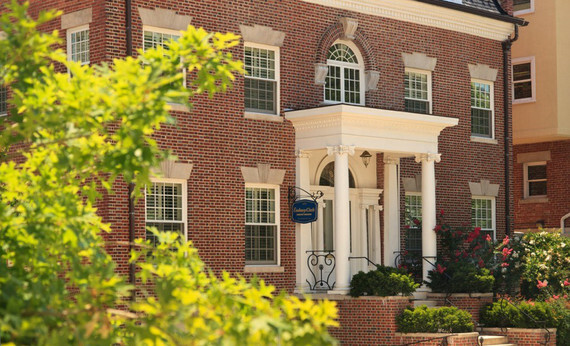 Embassy Circle Guest House, Washington, D.C. Antique Persian carpets the size of enormous masterpiece paintings cover the floors of 11 guestrooms at the Embassy Circle Guest House. Meticulous millwork and eye-catching artwork lend individual flair and undeniable luxury. Inside the Pearl Gazvin (rooms are named after the carpets), guests are welcomed by lots of windows, a cozy brick fireplace, a king-size four-poster bed, an Old English dresser, French armchairs and a Louis Philippe drop-leaf writing table. The private bath is stocked with Gilchrist & Soames products, and a plush spa-style robe is perfect for getting wrapped up in after a day spent strolling monuments and museums. Breakfast buffet with hot entrée is included--so is a wine and beer buffet every evening, with selection of fine wines, microbrews and light snacks. Cheers! It's all about indulging the senses at this peaceful coastal escape: seeing Penobscot Bay sparkling through the trees, smelling the sea, feeling the ocean breeze on your skin. The Inn at Sunrise Point offers endless distinct settings from which to in the spectacular oceanfront sunsets: Station yourself on an Adirondack on the sprawling lawn, on an oversized hammock, on a rocker on the wide front porch or in your room with a view. All guestrooms and cottages have private decks, fireplaces, sea views and luxury amenities such as Gilchrist & Soames toiletries and iPod docks. A three-course breakfast is served each morning in the ocean-facing conservatory. Start with Maine's own Carrabassett coffee, then dive into poached eggs with roasted asparagus, prosciutto and chive oil. When a B&B has its own private landing strip, chances are pretty ice-solid you're in for an unforgettable experience. Glacier Bay Country Inn is a luxury lodge that sits on 164 private acres of rainforest and beautiful meadows in quiet Gustavus, the gateway to Glacier Bay National Park. It offers five main-lodge guestrooms and five spacious private cabins. All meals are included. Chef Jon has something delectable for everyone: freshly baked bread in the morning to succulent Dungeness crab for dinner to an amazing to-go lunch you can enjoy while whale-watching or hiking. Central to both Sonoma and Napa valleys, the Farmhouse Inn offers 25 stylishly comfortable rooms and suites. The cream of the crop is the King Luxury, with its two-sided fireplace guests can enjoy either inside or on the private deck; a huge jetted tub overlooking the woods; and spa bath with steam shower, heated marble floors and Sonoma-made organic bath products. Indulge in a massage on a warm, herb-filled bed at the full-service on-site spa, perhaps after a dip in the heated outdoor pool. Breakfast (included) is a farm-fresh affair, featuring eggs from Bartolomei Ranch, produce by local farmers and house-baked pastries. In the evening, book a dinner to remember at the inn's Michelin-starred restaurant. 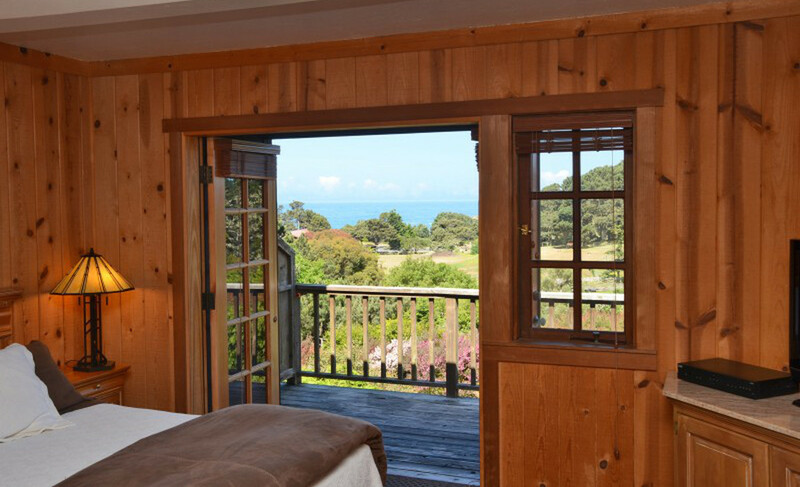 This eco-chic resort within easy reach of the magnificent Mendocino Coast welcomes guests as if they're family--pets and all. 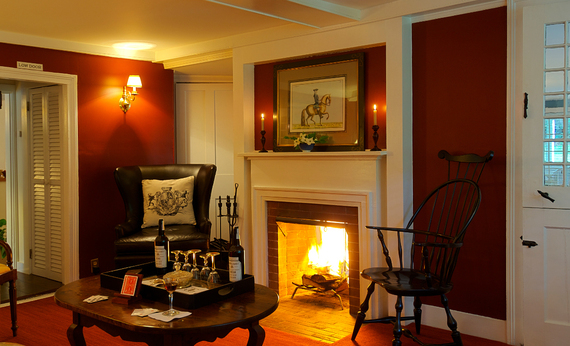 Each Stanford Inn room or suite (there are 13 from which to choose) is a luxurious experience in itself. 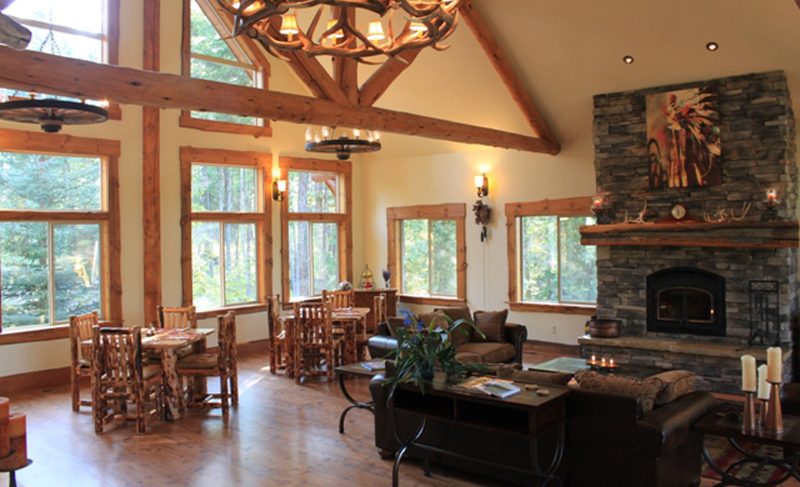 Take the Forest two-bedroom suite, for example; it has a large living room with wood-burning fireplace plus two distinct sleeping quarters with king beds wrapped in earth-friendly linens, a fireplace and a wet bar. Outside awaits a private deck well suited for optimal ocean viewing. Pop out of bed and into the indoor pool to work up appetite for the complimentary, chef-prepared organic vegan breakfast, served each morning in the award-winning Ravens restaurant. Open year-round, the Dreamcatcher Lodge is nestled in the forests of the Swan Mountain Range, just minutes from Glacier National Park. Each guestroom features a unique theme inspired by local wildlife. The rooms--from the Bear's Den to the Eagle's Nest--have one-of-a-kind handcrafted pine beds and views of surrounding ponds and meadows where deer graze. A stay includes homemade full breakfast every morning prepared with local ingredients. After a day of exploring and activities like river tubing or snowshoeing, it's simply amazing to take a moment and marvel at the spectacular Montana sunset from the lodge's large deck. 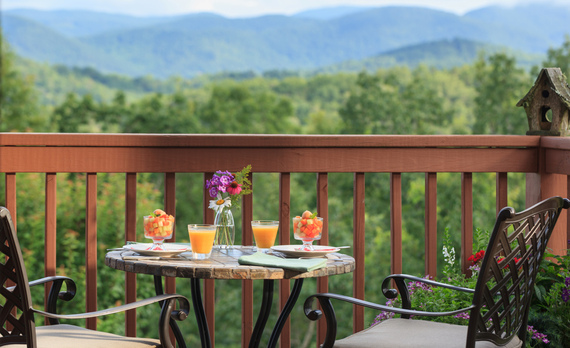 Overlooking the pristine Blue Ridge Mountains and scenic Sautee Valley, Lucille's Mountain Top Inn & Spa is an Arts and Crafts-style inn with common areas and guestrooms designed to showcase the surrounding vistas via expansive windows and outsized porches. Rooms decorated in warm earth tones feature fresh flowers, heated towel racks, dual-headed showers beneath skylights and Jacuzzi tubs with mountain views. From the clerestory crow's nest, you can take in 360-degrees of ethereally blue mountains towering over acres of lush forest. Not sure where to go or what to do after a breakfast of French toast, honey fig muffins and sausage spinach casserole? Two words: day spa. 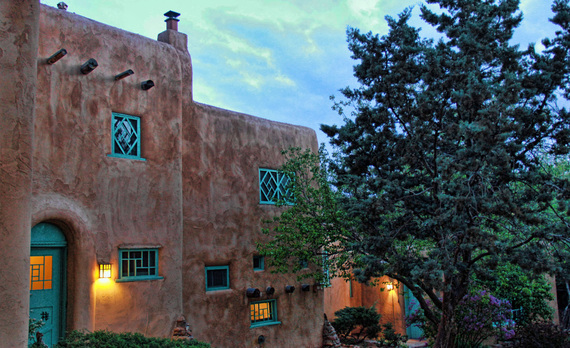 Formerly the estate of poet and essayist Witter Bynner, the Inn of the Turquoise Bear is a rambling adobe villa built in Spanish-Pueblo Revival style. Its signature portico, gorgeous rock terraces and verdant gardens offer a stunning prelude to the distinctive guestrooms named for art, music and literary luminaries. 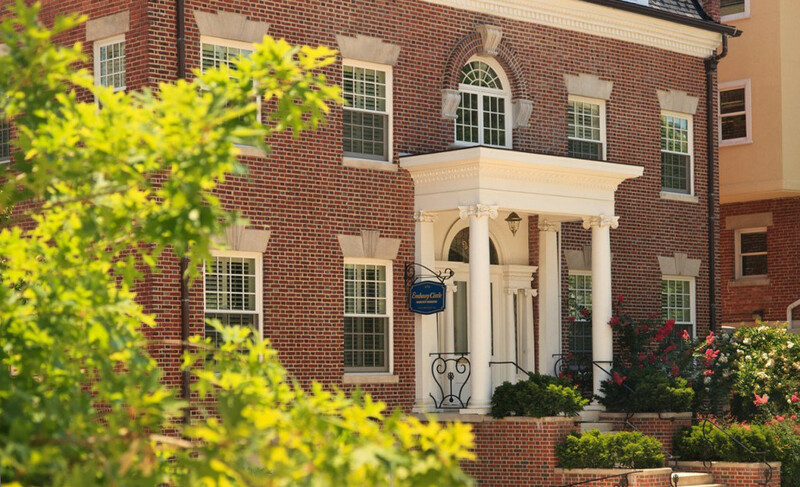 The Witter Byner room has a fireplace, a viga ceiling and a private balcony overlooking the gardens. A stay includes a three-course gourmet Santa Fe breakfast, afternoon tea, and a twilight wine reception--all to be enjoyed indoors or out. Don't leave without trying the blue corn pancakes with piñon butter. 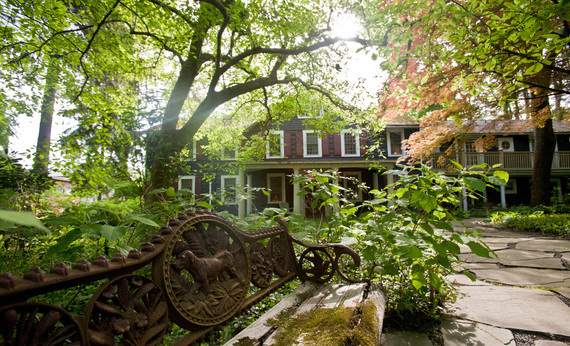 The Inn at Honey Run is an upscale boutique hotel in the heart of Amish country. Its surroundings include hiking trails through 50 acres; Tarragon, a fine dining restaurant called Tarragon; and choice of 40 accommodations including main inn rooms, earth-sheltered Honeycomb rooms and cottages. For the most privacy and spaciousness, book one of the cottages perched on a wooded hilltop a short stroll from the restaurant. Both cottages accommodate up to four guests and feature wood-burning fireplaces, bedrooms with king beds, cathedral ceilings, private decks and panoramic views of vast meadows and woodland. 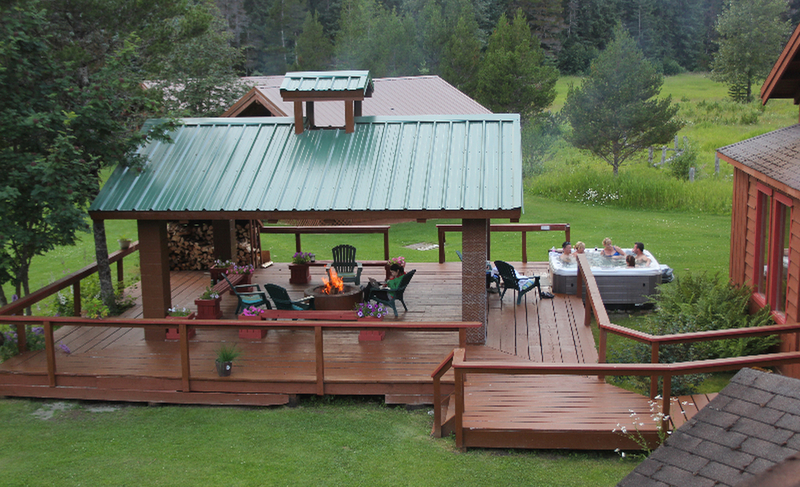 The Trillium room has a Jacuzzi for two, while the Cardinal room offers an outdoor hot tub. Cottage stays include Continental breakfast and afternoon lounge hours, which take place at Tarragon.